We worked on two projects-- Foil Leaf Relief and Foil Collage Art. I wasn't exactly pleased the results on these projects--not really the "wow" factor that I was hoping for. Chemistry-- First, we played around with combining vinegar and baking soda--just for fun! Our lesson was on acids and bases. 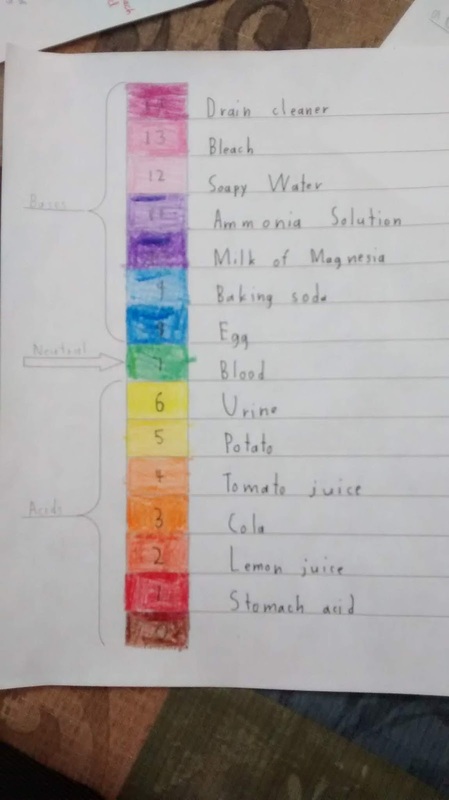 I found quite a bit of free informational readings and this experiment sheet from TpT when I put in the search "acids and bases". I had quite a bit of litmus paper left over from high school chemistry last year, so win-win! I found these cute science plates and thought they were perfect for our snack time!